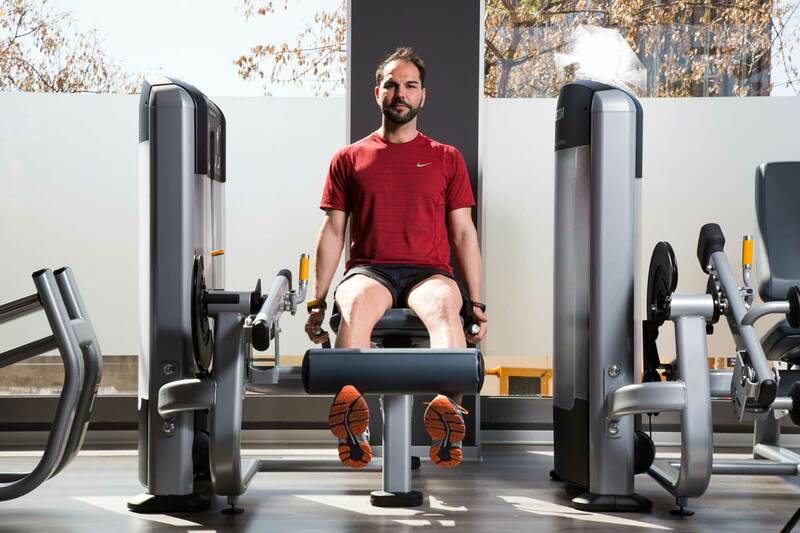 Dani Oses, elite performance coach and Franchise owner of 3 Anytime Fitness Gym in Sant Cugat, Reus & Sabadell (Barcelona), talks to us regarding the importance of the hard work completed by Pro Footballers, behind the scenes in the gym. During the many years that I have assisted elite athletes with their physical preparation and gym work before, during and after their respective seasons, I have seen them displayed in newspaper & magazine articles and training in the most varied of places. We are accustomed to seeing soccer players training on the pitch, on the grass, running, jumping, doing sit-ups, shooting at goal, team game exercises etc … Curiously, other elite athletes, such as motorcycle riders or Formula one drivers, we can even see them training in the snow before the season begins, but very rarely do we have the opportunity to see them in their facet closest to any of our activities: their hours in the gym, which exist and are many! If we take a moment to remember, it is possible that at some time we have seen a soccer star training, doing quadriceps extensions on a machine in a gym and almost certainly the image that comes to mind is related to recovery of an injury. Do you not remember seeing them doing shoulder, back or pectoral exercises, but not in the gym, but on the field during an advertising campaign? Like any other elite athlete, football players work in the gym to achieve the physical condition that their body requires to be up to the demands of their profession – like any other sport at competition level. As a football fan, you are sure to know the name of the coach of all the teams in your league, but do you know the names of the fitness coaches, even of your own team? Working tirelessly, every day behind the scenes in the gym, this role is critical to the player’s and team’s performance. Why? If we observe a complete soccer training session, we will see that players spend very limited time on the pitch and that the training session is carried out in groups, with twenty or twenty-five players working with one or two coaches. The head coach or manager, uses this time to work on both tactics and technique, which leaves very little time and energy, for strength & conditioning work in the gym. In addition, on the field you train with basic material and do not have the equipment or machinery necessary to train all muscle groups in a correct and specific manner as available in a gym, and it is impossible to achieve the high level of condition necessary at elite level in this time. When we talk about professional football, each player is trained by his coach, following an individualized routine, designed specifically for him or her, either because of his/her constitution, old injuries, position in the field, skills, weaknesses etc. Each player has different needs and physical characteristics that have to be taken into account when designing work in the gym. Of course, the same physical preparation is not required by the body of a goalkeeper where less gym work is required. as that of a defender or a striker, where a high level of gym work is required, nor a young footballer who has just graduated from the academy compared to a player who is in the twilight years of his/her career where more injury preventative gym work is prudent. 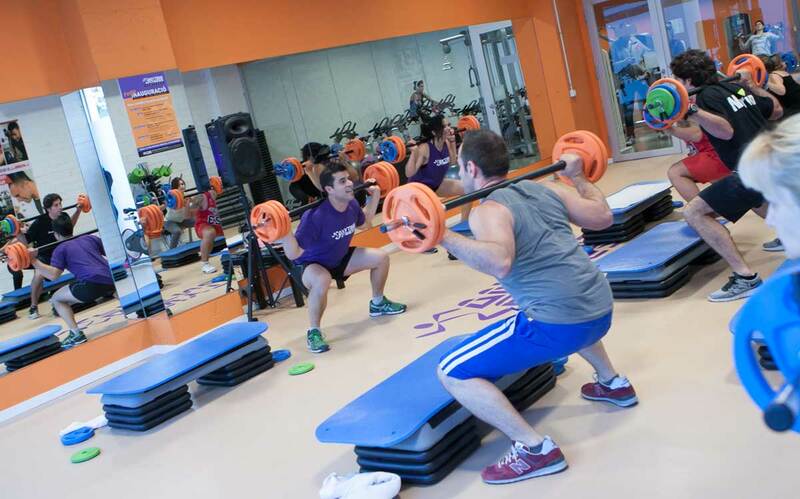 What are the main goals of gym training for professional soccer players? We need strong well-muscled legs with strong joints to be faster, to kick harder and prevent future injuries. To do this, we must have a good muscular base and perform, from the beginning of our preparation, a routine that includes exercises like deadlifts, squats or in machine like quad extensions and femoral press – these exercises can only be effectively competed in a gym. In addition to a powerful lower power train thanks to this good muscle mass, we will also need those muscles to remain strong throughout the game and not fatigue fast. Circuit training is ideal for improving this aspect. Alternating with the number of sets, repetitions and intervals of rest, we will make our muscles endure more than the ninety minutes of a game. Once a good muscle mass has been acquired and previous gym work done in prevention, we can improve the power by means of plyometric exercises and multi-skills. Strength and agility must go hand in hand in this sport, and we cannot forget the work of the support joints that will achieve a solid structure to avoid possible injuries due to overload or mechanical overexertion. Strengthen the core for good stability of the spine and pelvis. This way we will get a greater transfer of forces during the movement and we will avoid many common injuries. 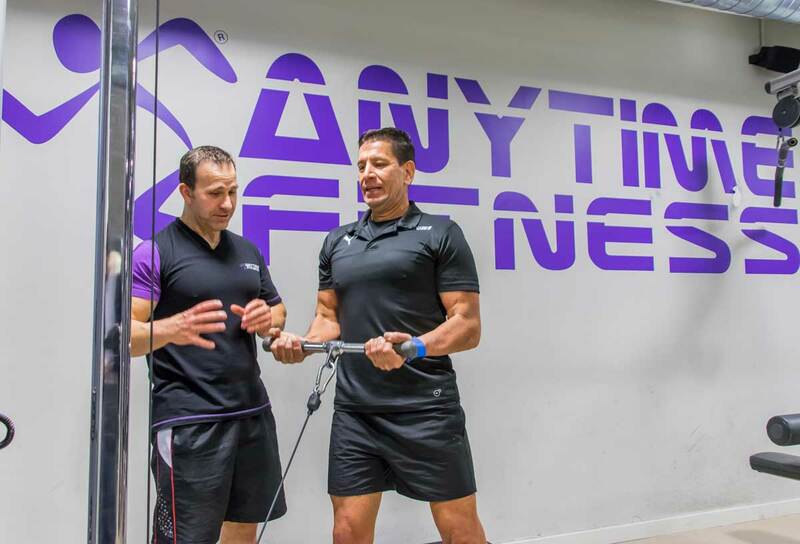 It may seem strange but when some of the athletes I train come to see me at any of the Anytime Fitness gym that I run, I encourage them to enter our yoga, pilates or body balance classes, most become fans of these classes and exercises carried out in the gym. Given these types of activities are based on stretching and dynamic body control they are the perfect complement to the rest of the bodybuilding and gym work. Football is a sport that is played at high intensity for at least minutes per game. The players are making an important cardiovascular and muscular effort marked by the sprints – that require an explosive organic response – and moments of “rest” that alternate Intermittently. To this must be added the increase in the production of adrenaline, which brings the circulatory system almost to the limit of its capacity. To train this, footballers train in the gym with treadmills, Nordic ski & rowing machines, bikes, etc, all simulating the profiles similar to those intervals of extreme effort that occur during matches. In addition, this essential gym work favours the circulation of the blood and therefore the oxygenation of the tissues that will cause the musculature to develop in a healthy way. Ensure good work of proprioception, flexibility and toning of the general musculature, all acquired through hard work in the gym, to prevent as much as possible, the main injuries suffered by footballers, and to be in the best physical form possible. ¡The moment has arrived to meet your new you!